New Delhi, March 25: Loktantrik Janata Dal (LJD) president Sharad Yadav on Monday accused Rajasthan Governor Kalyan Singh of abusing his Constitutional post by allegedly making political comments. 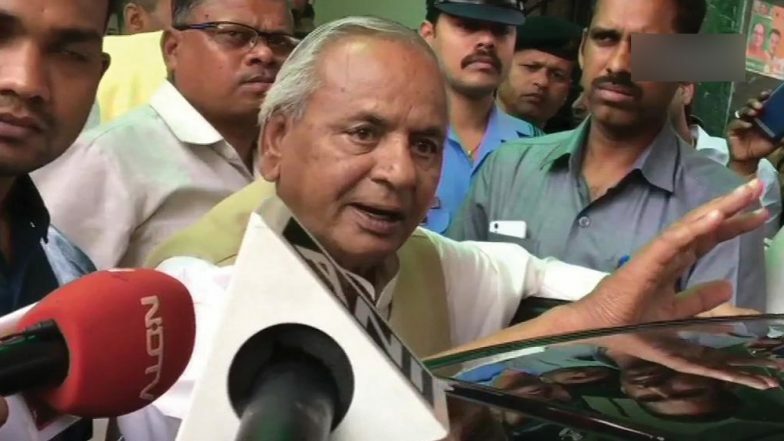 Referring to Singh's statement where he said that Prime Minister Narendra Modi's return to power in the ensuing Lok Sabha poll was important for the nation, Yadav said, "Governor is not a representative of any political party. It is a Constitutional post." "I have been in politics for the last 40 years but I never saw the post of Governor being misused in this way. I am telling from day one that our Constitution is in danger. One who is occupying a Constitutional post and making such statements is unfortunate," he said. Earlier in the day, Singh said that as a party worker he 'genuinely" wanted the Bharatiya Janata Party (BJP) to win the ensuing Lok Sabha elections, which are going to be held from April 11 to May 19, in seven phases. "As a worker of BJP, I genuinely want the party to win. We want that once again Narendra Modi should become the Prime Minister of India. It is important for the nation and society that Narendra Modi should become the Prime Minister again," he said.